Food sovereignty has been a fundamentally contested concept in global agrarian discourse over the last two decades, as a political project and campaign, an alternative, a social movement, and an analytical framework. It has inspired and mobilized diverse publics: workers, scholars and public intellectuals, farmers and peasant movements, NGOs, and human rights activists in the global North and South. The term `food sovereignty' has become a challenging subject for social science research, and has been interpreted and reinterpreted in a variety of ways. It is broadly defined as the right of peoples to democratically control or determine the shape of their food system, and to produce sufficient and healthy food in culturally appropriate and ecologically sustainable ways in and near their territory. However, various theoretical issues remain: sovereignty at what scale and for whom? How are sovereignties contested? What is the relationship between food sovereignty and human rights frameworks? What might food sovereignty mean extended to a broader set of social relations in urban contexts? How do the principles of food sovereignty interact with local histories and contexts? 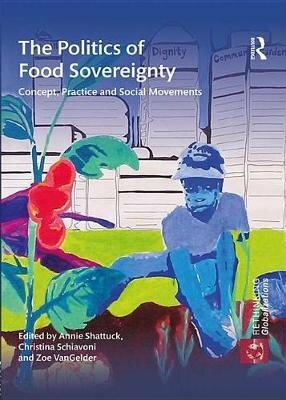 This comprehensive volume examines what food sovereignty might mean, how it might be variously construed, and what policies it implies. This book was originally published as a special issue of the journal Globalizations.